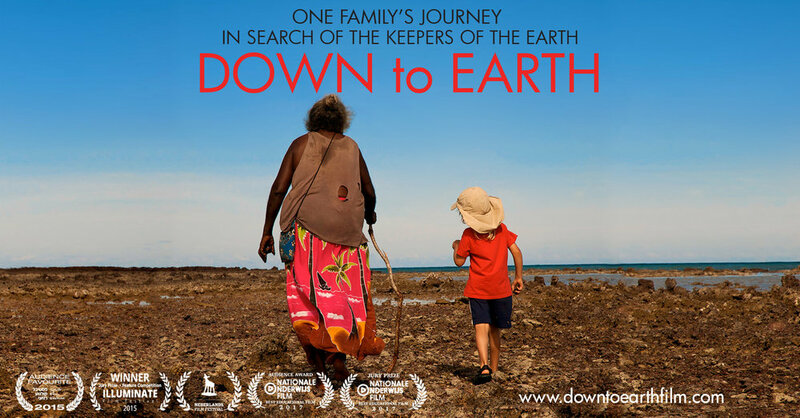 Thank you so much for your interest in hosting a screening of DOWN to EARTH in your Community! The Community Screening Kits provide everything you need to organise and host a screening in your area – no matter how big or small. There are three key areas to ensure your screening is a success and all are included in your Screening Kit. Learn more below, or if you’re ready to host a screening then purchase your kit! A loan copy of the DVD, a Promotion Pack: 8 x A4 posters, 20 x postcards to distribute to your audience, 2 x DOWN to EARTH brochures, 1 x digital press kit and a Facilitation Pack - a guide to help you run the facilitated dialogue. Thank you so much for your interest in hosting a screening of DOWN to EARTH with your students! Whether you’re a Home Schooling group, a School or a University this film will sit comfortably alongside your lesson plans. We’ve already had a handful of screenings within these communities with great success. Each screening has been run in way that suits the audience and venue, there have been no two alike. Some have been open to family and friends with ticket sales going to cover the cost of the Screening Pack and Facilitator, and others simply use PTA funds to provide an unforgettable educational experience. PLUS - We’ll share your screening on our Facebook Events page & list it on our website Events page if you’d like to promote it outside of your school or group. However, trained facilitators are available for an extra cost of £125, plus their expenses. Want more copies of the book? Get in touch for a bulk rate. We are proud to have worked with so many wonderful Corporations to host educational and motivational screenings both for internal teams and the wider community. It’s uplifting to know that people powered change is driving corporate responsibility to help change the way that businesses think and work. The hope is that one day soon every company considers the sustainability of what they’re doing for both people and the environment. This film is an important testament of the state of our world today and underpins very much the philosophy behind the Unilever Sustainable Living Plan. DOWN to EARTH speaks to our soul. DOWN to EARTH shows us the importance of re-connecting with nature at a critical time when she needs us and we need her. Get on down to Earth.